Chalet is the number one landscaping destination in the Chicagoland area for over 100 years. We take a personalized approach to design in order to create a landscape you'll enjoy for years to come. 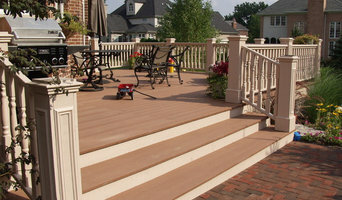 Our goal at Woodridge Deck and Gazebo Co. is to provide quality service using the best materials available to create a superior product for our customers. Serving the Chicagoland area for 20 years! Sensitive to your existing home & environmental surroundings, we develop a comprehensive vision of your interior and outdoor living spaces blending the multi-functioning needs of modern family living. Here at Burns and Beyerl Architects, we strive for the optimal solution for every design challenge to create enduring buildings that balance ideals, program, aesthetics and budget. MI Darwish Architecture has over 20 years of experience designing residential and commercial structures across the states of Illinois, Michigan, Texas, & Colorado. 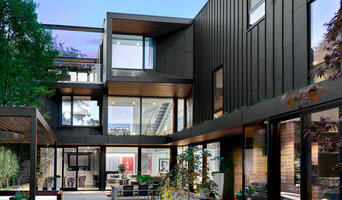 We provide architectural design services for select residential projects, with experience in custom and unique home design solutions derived from our field experience with custom built projects. Advanced Architectural Design Limited has been able to establish a niche in the Classical Architectural Design of High End Residential Market in the past 20 years. 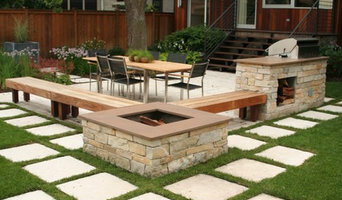 We are a fully integrated landscape design & construction firm, serving Chicago for 25 years. From the initial design to final construction, we remain your one source, ensuring quality throughout. Taking cues from the construction industry and environmentally minded design, we strive to craft efficient spaces and structures, often using wastes from other trades as a resource and material. Designing Houses, Creating Homes... Established in 1997, Jaffe Architectural Group is a boutique firm specializing in custom residential architecture, architectural interiors, and interior design. 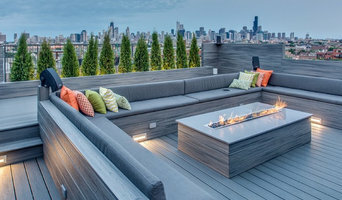 Chicago, IL based Architectural firm. With the combination of creativity and experience, Lark is certain to keep deadlines, while providing designs that are both functional and aesthetically pleasing. Turn Collaborative is a Chicago based Architecture firm that works with an openness to the design process, as a means of avoiding formulaic solutions, and channeling a source for inspired results. We continue to stay connected with all the newest green & eco friendly technologies & advances in landscape design/installation. Keeping current allows us to offer the best the industry has to offer. Senga Architects is a full-service Architectural Design firm based in Chicago. We are easy to talk to, fun to work with and fully dedicated to your satisfaction - we look forward to hearing from you!